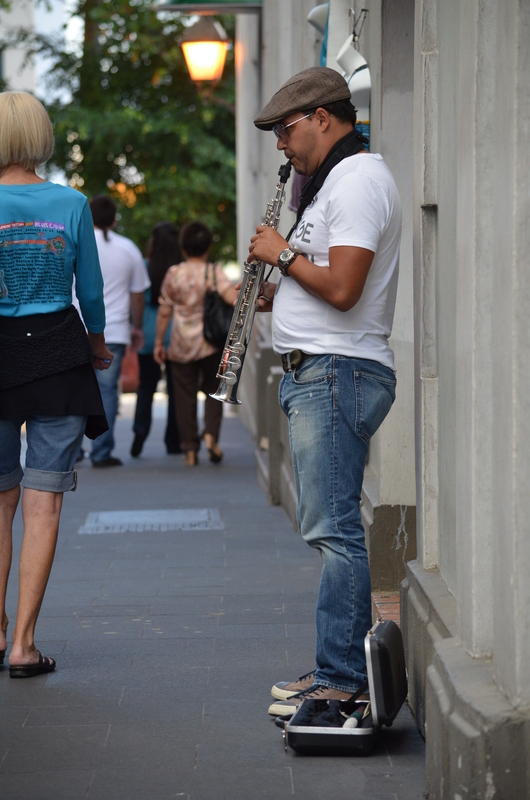 Musician on the streets of Old San Juan. 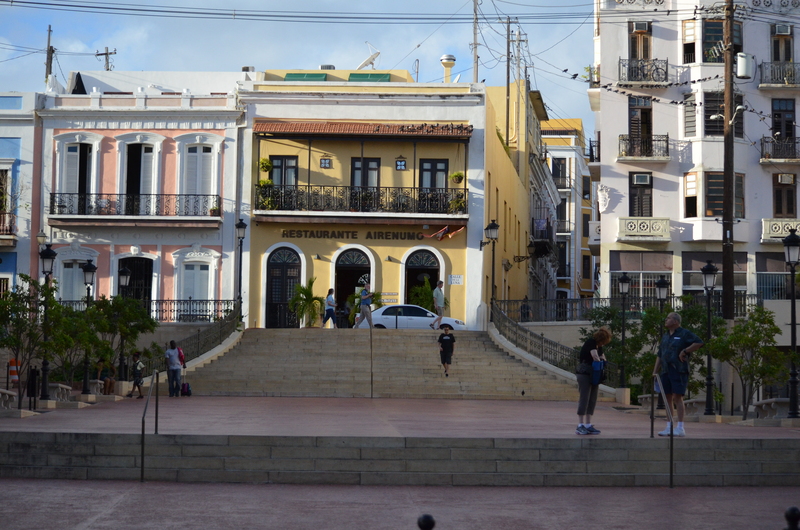 Old San Juan is different from any other place in Puerto Rico. Colorful colonial buildings with tall windows line the cobbled streets of blue. It’s filled with life. 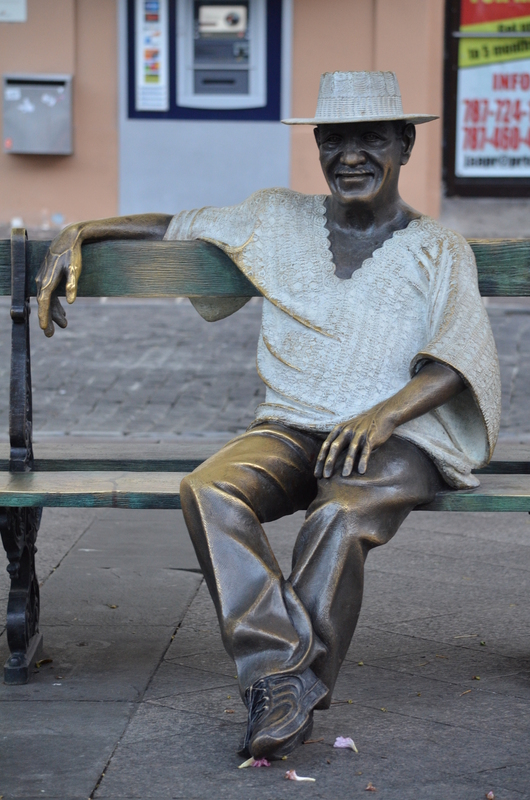 The walls are infused with centuries of history, the plazas filled with old men in guayabera’s (typical shirt), artisans, neighbors, workers, and tourists. Delicious restaurants of all kinds mingle between shops, hotels, and government offices. The Governor’s house is there. La Fortaleza or Palacio Santa Catalina, was named a World Heritage Site by UNESCO, as it is one of the oldest palaces in use in the Americas (finished in 1540). Garita. A lookout spot in the city wall. El Morro and San Cristobal Forts have daily tours and house more history reminiscent of pirates and rum runners. 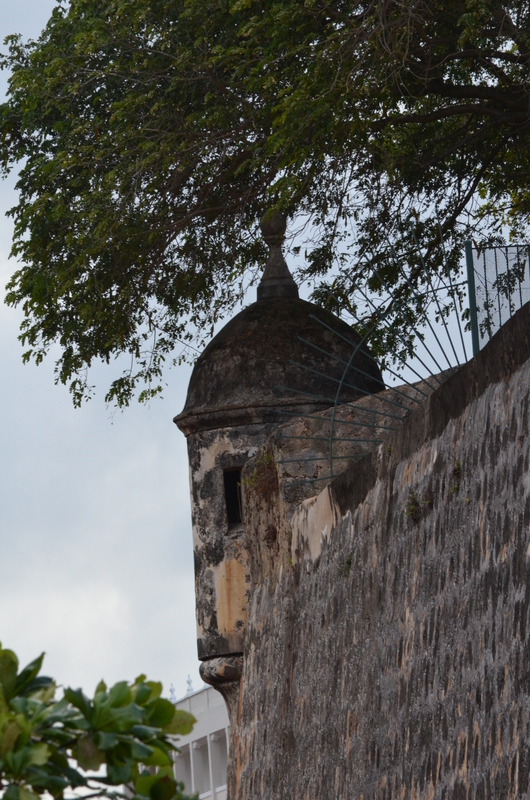 In fact, a famous Puerto Rican pirate El Pirata Cofresí, was executed on El Morro grounds in 1825. The castle walls still bear the wounds of old cannon ball hits. 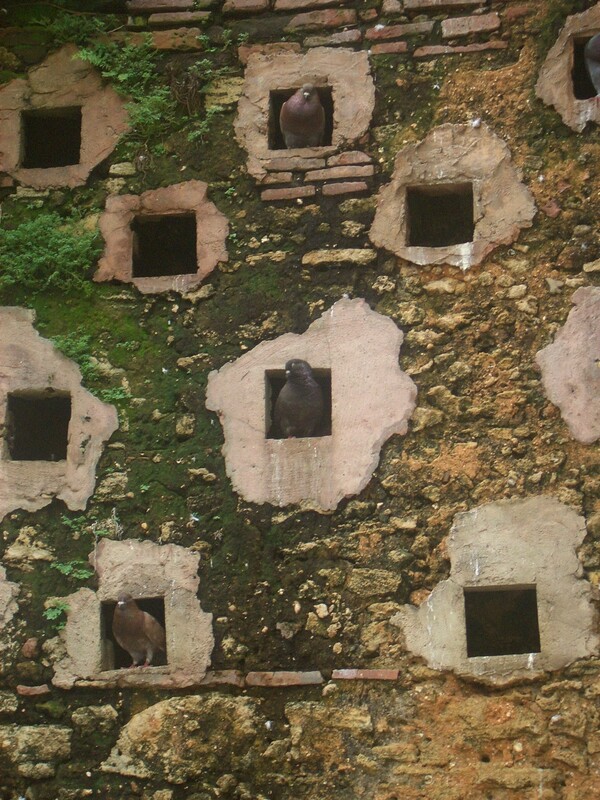 The Parque de las Palomas (Pigeon Park) is a classic to visit and great for the kids. The Museo del Niño, also great for kids, is right next to el Hotel Convento, while the jewelry shops are supposed to have some of the best discounts. Personally I’ve always wondered about the Underground Tunnels, rumored to traverse the entire city from La Fortaleza, to El Morro, to San Cristobal Fort. This escalinata was buried under asphalt and road some 10 years ago. During plumbing work it was discovered and restored. Spectacular! Don Tite Curet statue @ La Plaza de Armas in the center of the old city. Take your time to leisurely walk the streets and notice the peeled plaster in some of the abandoned buildings, the tiny plants growing between the cobblestones, the old man carrying a bundle of white flowers “aaazucenas”… buy some. I bet you’ll like this town.